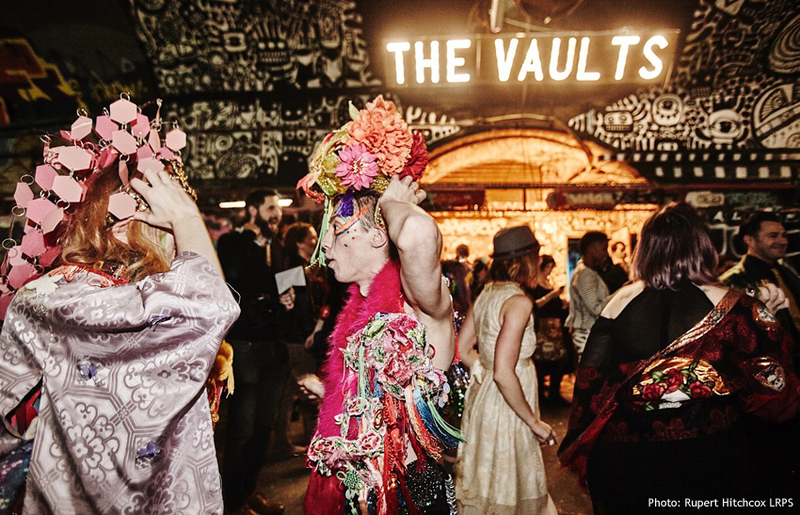 "I decided the Vaults exhibition was to be about the tribe, the bunch of wonderful, colourful, creative people that surround and inspire me. It was to be my world, where my friends make up a large part of it. I make wearable art, many of my friends have commissioned pieces from me, and the exhibition would be a chance to showcase the clothing and have a bit of a party. I have a mission: to help change the world one person at a time, by helping people be their authentic selves through the clothes they wear. I invited a mix of friends including Sue Kreitzman, John Lee Bird, Dan Vande Hei, Anne-Sophie Cochevelou and Ella Guru to join me. 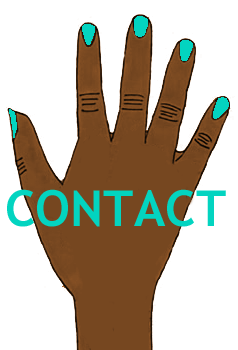 Our shared aesthetic is clear, we all are clearly not colour phobic. It was emotional. There were tears, but most of all smiles and laughter as the tribe spirit was born." 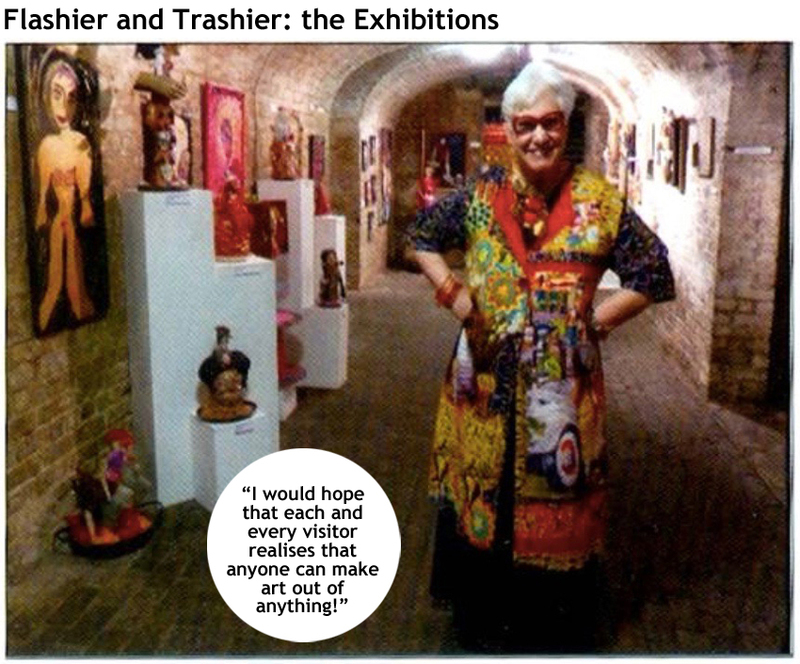 Excerpt from review on Flashy and Trashy exhibition: 'Celebrate the transformation of junk, rubbish, and trash into art through the work of two contrasting yet inspiring artists: Sue Kreitzman and Phil Wildman. The work of both of these self-taught artists is on display, ranging from Wildman's composed rubbish sculptures to Kreitzman's vibrant creations of colour, food, freedom, and the female landscape. After a year at Sir John Cass Art School, Phil Wildman is basically a self-taught artist. Wildman collects household items and office waste, material the late Philip Guston termed "C.O.T.S." (crap off the street), in order to form dynamic assemblages focusing on architecture and sense of space. 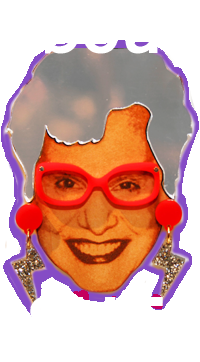 Wildman is able to successfully generate a socially conscious attitude while using simple materials from everyday life. 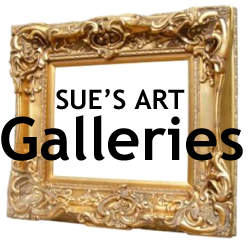 Similarly, Sue Kreitzman, transforms everyday objects into powerful works of art - much of her imagination manifests itself in paintings and assemblages embellished with buttons, broken jewellery, toys and other bits of profound junk. Sue remembers vividly the moment she turned to art - as a former food writer she recalls one day a "violent fever overtaking her" and began drawing and painting immediately. Kreitzman spends much of her time hunting through markets, skips, second-hand stores, and salvage yards to collect materials for her totemic works, which serve as narrative commentaries. 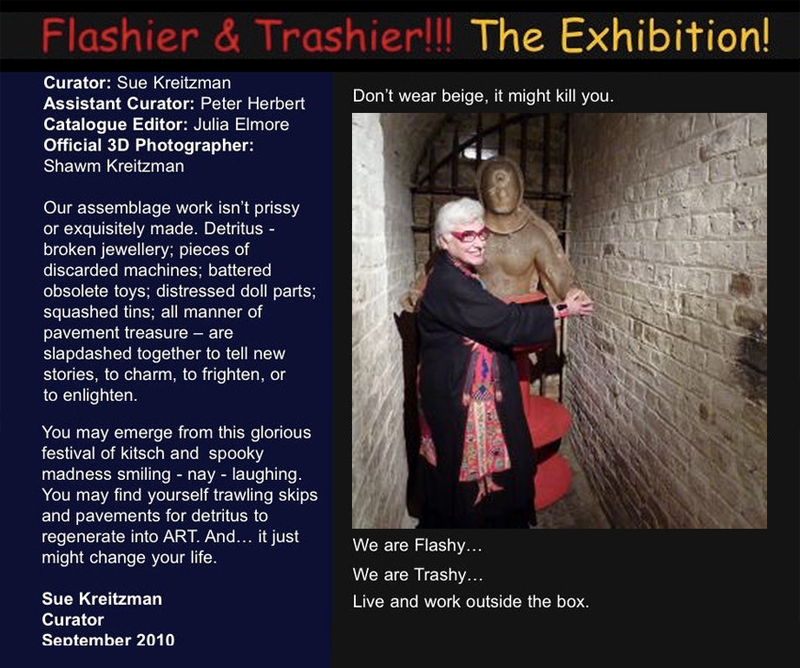 The second Flashy and Trashy event, entitled 'Flashier and Trashier' took place in October 2010, at St Pancras Church, London. 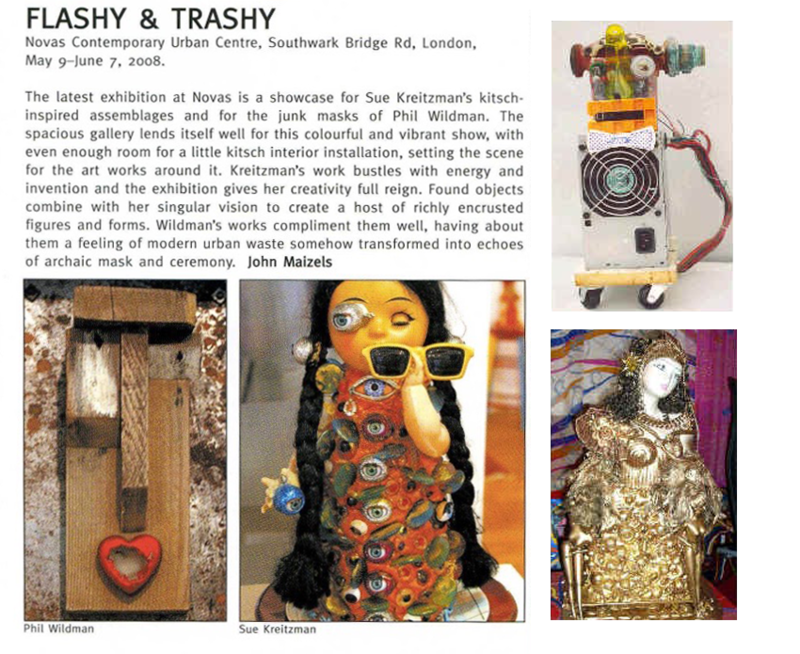 An exuberant celebration of paintings and assemblage art made from salvaged and recycled materials inspired by Sue Kreitzman's and Phil Wildman's original exhibition, Flashy and Trashy, in 2008. Expanded to include nine artists, visitors are invited to marvel at the salvation and regeneration of lost and discarded objects, transformed into wild and... wonderful objects of art.